Home > Preliminary sketch for set of GALILEO. 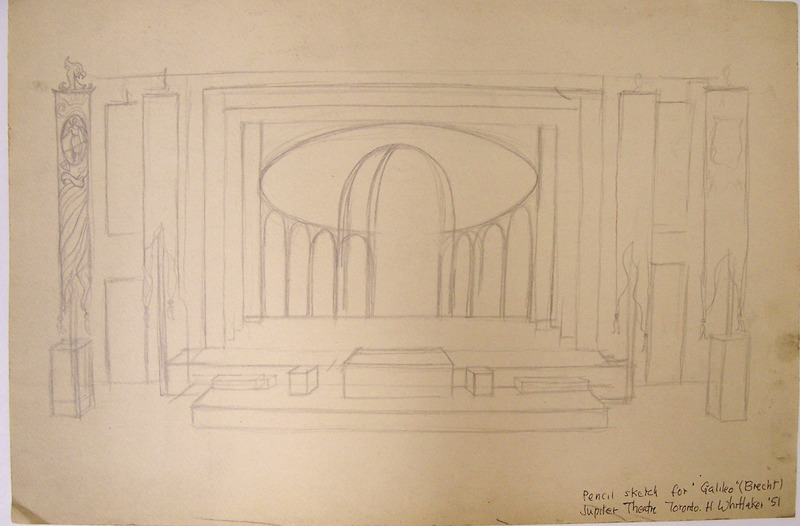 Preliminary sketch for set of GALILEO. Design depicts four banners flanking the proscenium, platforms and boxes down stage, and an arched backdrop.